This is an independent website not affiliated with the venue. 'The Chicago Theatre' as well as all associated graphics, logos, and/or other trademarks, tradenames or copyrights are the property of MSG CHICAGO, LLC and are used herein for factual descriptive purposes only. This website is in no way associated with or authorized by MSG CHICAGO, LLC and neither that entity nor any of its affiliates have licensed or endorsed us to sell tickets, goods and or services in conjunction with their events. 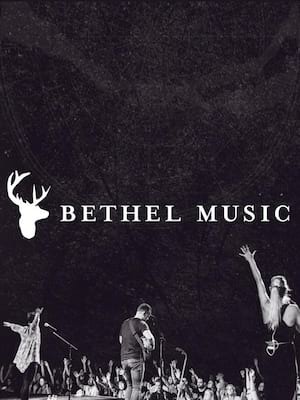 The term Bethel Music as well as all associated graphics, logos, and/or other trademarks, tradenames or copyrights are the property of Bethel Music and are used herein for factual descriptive purposes only. We are in no way associated with or authorized by Bethel Music and neither that entity nor any of its affiliates have licensed or endorsed us to sell tickets, goods and or services in conjunction with their events. It looks like you've just been beaten to the last of these tickets! Check for another performance for Bethel Music. If you're desperate for those tickets, please give us a call on 844-848-1296 and we'll see what we can do for you. Why not take a look at our selection of the best Chicago has to offer or check what's coming up at this venue.